Hi Fatima!. Ofcourse there is shipping charges to get the product delivered.. Thank you SO much for blogging your experience regarding this. I have had so many odd and bad experiences with international shipping. I wasn’t confident about buying from Amazon but since I now know it’s Aramex delivering I will go ahead and do it. I am so happy to read yr post because the books I require are available only in Amazon and was apprehensive about ordering it.I feel a lot better now and confident to order them.. Many Thanks !! Hi!. Great to hear it helped =). I haven’t tried purchasing liquid items on Amazon yet. 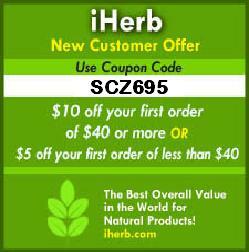 However, I purchase oils regularly from http://www.iherb.com/?rcode=SCZ695. See if that US based site has the liquid item that you are looking for. They ship right to the door step via DHL in 2 – 3 days..
Been googling this for ages! Thank a lot for the inputs. I’ve been longing to put purchases on amazon thinking it will not reach UAE. I am plaaning to order acne.org products thou still wondering if it is allowed.. Please do post some updates regatding liquid products! Thank you! Hi Mae!. I didn’t order liquid products from Amazon since I discovered http://www.iherb.com/?rcode=SCZ695, a US based site which delivers almost everything on their site, whether liquid or not, to UAE. Why don’t you place the acne.org products in your cart on Amazon and see if any msg pops up informing you whether or not it’s allowed to be shipped to UAE. Then continue with your purchase. If they don’t ship to UAE, check the iHerb link since they stock an amazing variety of acne products. Its a great article. Congrats naz. I was trying to do some shopping, but it was always saying that the items is not available to UAE. Hi! I just wanna know. Once that the free shipping is confirmed, there will be no extra charge for customs duty or something like that? The information you provided has been very helpful btw! I’ve been meaning to order from Amazon for quite a while now. I was just hesitant because I wasn’t sure whether there was a customs fee or not. Hi Abbygale!. You are welcome :).. No other charges here in UAE. What you see on screen is what you pay. Also, I have heard if your bill total is above USD 200 or USD 270, there will be some charges.. But that’s a high amount. Stay below that and everything should work out just fine..
Hi I just wanted to know what the shipping cost is like? Is it by weight? Or per shipment? Hi Michelle, it depends upon the weight of the products you are purchasing. Simply add the items to your cart and see the shipping charges applicable. Hi Halima!. Thanks for writing in. It’s true that certain sites don’t accept other country’s credit card. That being said, I have used my UAE based credit card on Amazon & iHerb ( http://www.iherb.com/?rcode=SCZ695) and successfully ordered. You can either try with your card to see if the transaction goes through or you can have a chat with/send email to the site you wish to shop at and ask them specifically if Pakistan based credit cards are accepted. Hope this helps..
Hi Amanda, the shipping charge that you see on the site, is final. You don’t have to pay anything extra to Aramex, on delivery. Btw, since you are looking for makeup sites, here is one that I highly recommend – http://iherb.com/Cosmetics-Makeup?rcode=SCZ695. It’s US based but ships worldwide. To UAE, packages are delivered by DHL in 3 – 4 days. They stock popular brands at a good price. For shipping to UAE from Amazon US you can also try USendhome ( https://usendhome.com/) . It has no monthly or any signup Fee and the shipping rates are lesser than other forwarding options.